This edition of "Which Box Art is Better?" is going to be a trip down memory lane. Or at least it will be for me. I'm guessing some of you (many of you?) 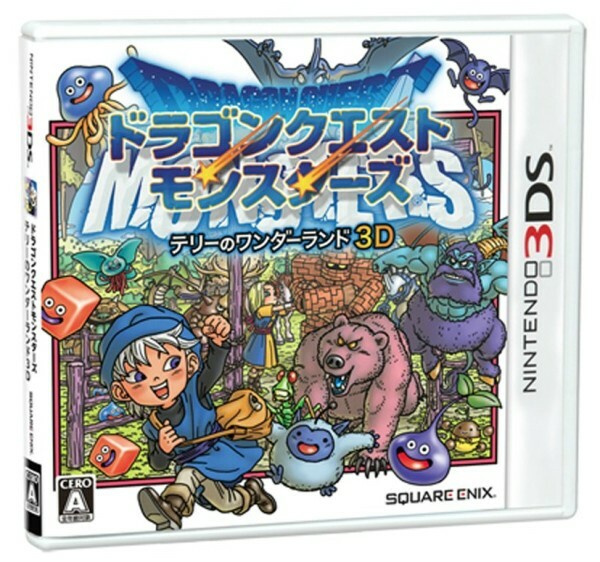 have never even heard of the original Dragon Quest Monsters title, let alone played it. Still, I'm going to devote a post to the game because, well, I like the box art that's been made for its many iterations. As for which one I like best: Although I quite like the art that was conjured up for the latest iteration of this charming game, I think it's my least favorite of the bunch. The cover of the GameBoy Color-based original is really nice, too, and I'd probably put it at the top of my list if the rainbow-hued illustration were a bit larger. 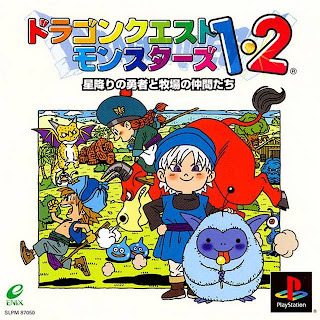 As it is, though, I'm going to have to give that honor to the box art made for the PSone-centric Dragon Quest Monsters 1+2. Now that I've had my say, what do all of you think? I'm with you on this one. I love the bright colors of the second one. That being said, I'm going to have nightmares about Terry. He freaks me out. i kind of like the muted palette of the 3ds box art. also, they're re-releasing this? jeez. i played the original for a really long time, got stuck near the end - and reset the entire game. then i realized exactly how long it took to get me to the end, and I never could look at it again. Hey there, Zach! 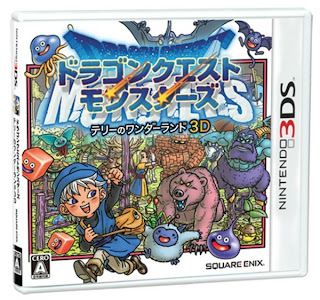 Yep, they're remaking and re-releasing this one for the 3DS. Not sure if it'll be released outside of Japan, but I'm guessing it will be eventually -- given the game's popularity back in the day. So, this is a game that takes some time to complete, eh? That both intrigues me and scares me. I mean, I like the idea of it, but I'm a looooooot less likely to spend 30, 40, 50, 60 hours on a game these days. The gameboy colour cover really feels like wasted space. You have these great characters and art but the're crammed down in to a box inside a box. It just feels like they were working with left over assets which is a shame. I think I'm missing something here, Robert, since the last piece of box art shown in this post is the one that will be used for the upcoming 3DS remake. 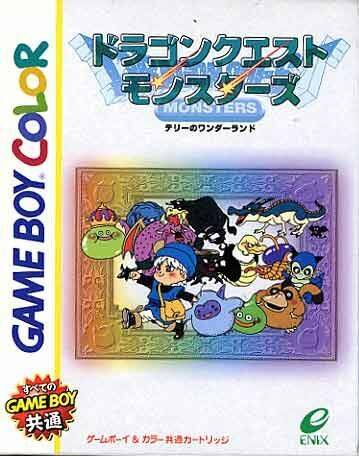 I agree, though, that the GBC box art features too much wasted space. They really should have had the illustration take up more of the cover -- kind of like the PS1 box art. Gosh yr polite. 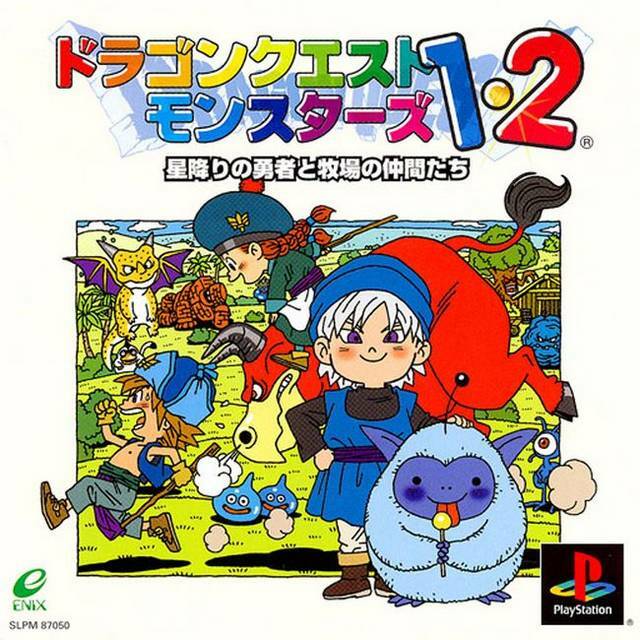 Anyway, why didn't you include the box art for the original english language release? Is it because it's too awful? Because it is. Heh. Anyhow, yeah. The Game Boy Color one I actually like best. Hey, this game actually has the honor of being the first ever game I wanted to play and buy based purely on what I'd seen (in magazines) at the time as like, a nine year old. Other than that, it was only ever Mario games because they were Mario games, or Zelda games because they were Zelda games and so on. Needless to say, I was not disappointed. I'd love to get the 3DS version, along with that limited edition console. Oh man. I love your story about this game, BTW. I've yet to play it myself, although I have to admit the 3DS remake/re-release has me itching to play all three versions (the GBC original, the PS1 remake AND the 3DS remake). Sadly, I'm not as knowledgeable about the DQ universe as I should be, Anne. That said, I think the little blue monster must be some sort of series staple? Facetious? THATS MY BABYS NAME! Back when that was "the future of art!" kinda of scares me that it sort of came true ... but not so much in a bad way. Robert: You are too funny :) Don't be a stranger around here, OK? That's why I didn't include that version in this post, by the way -- it would have sullied things completely, don't you think?